Visitors can see the city of North Korea on this broken bridge. Yalu River is the boundary river of China and North Korea. This bridge was first built in 1909 when Japan invaded the Korea Peninsula. During the Korean War, the bridge was broke down by the America bombers. It has been bombed several times from 8th November to 14th November in 1950. 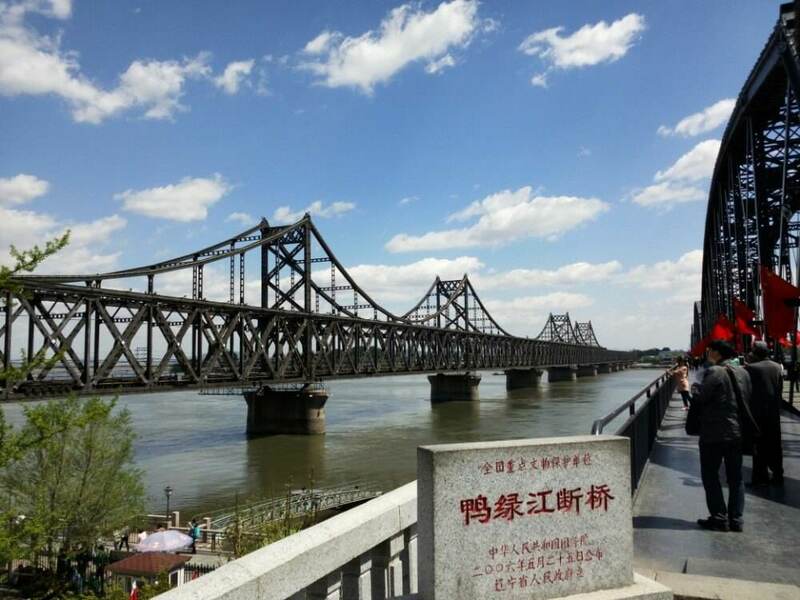 After that, the bridge close to Korea side was permanently damaged, however part on the China side was kept. In 1993, the bridge was opened to public as a tour sight. The bridge was first painted blue, which represents peace. It was restored into its original grey color after the discussion of tourism bureaus. Opening Time: 07:30 - 17:00 (Summer), 08:00 - 16:00 (Winter). How to go: take the bus 105, 121, 128, or 303, and get off at Yalujiang Duanqiao Station (鸭绿江断桥站 Yalu River Broken Bridge Station). Ticket Price: 30 Yuan.